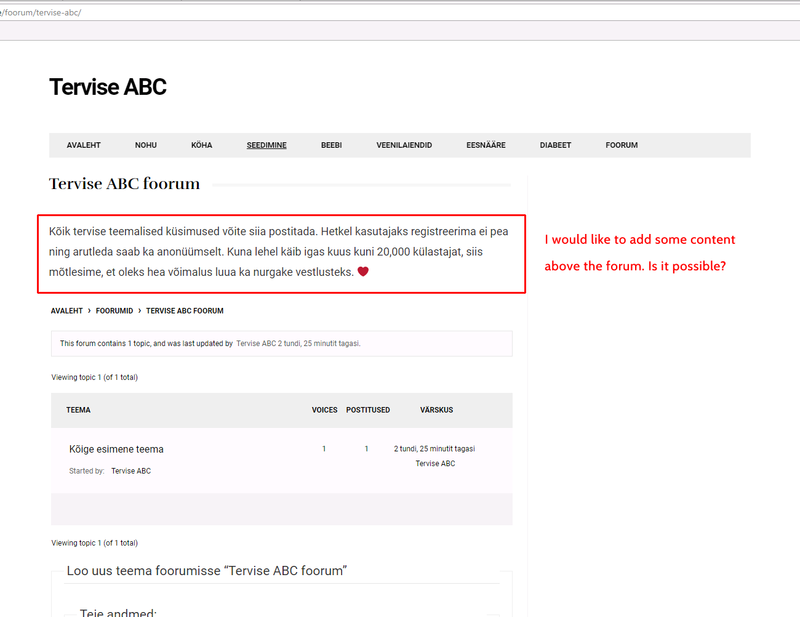 Adding content above forum – possible? I am working on a health forum and I would like to add little introduction above every forum. Is it possible to achieve somehow without editing much of the theme? I am using Barcelona theme. I am thinking of soving this idea by creating new page for every forum page with shortcodes and by using redirection plugin to redirect original forum link to customised one. says that if the forum is called ‘technical’ then write ‘this is some content’ so you simply need to change the forum name and what you want that forum content to be.